Alternate* leaves heart-shaped and toothed*, with pointed tips and thin stalks. 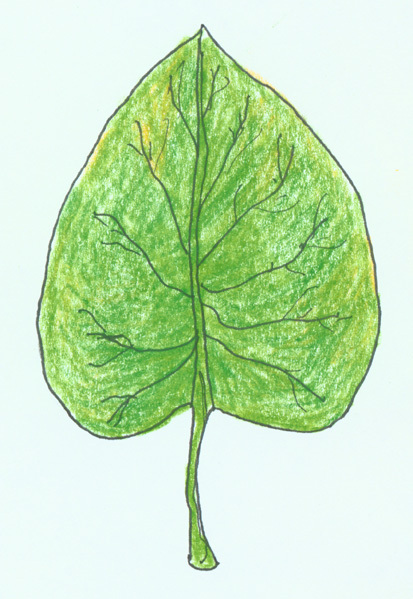 Both the leaves and the thick central stem are covered in rough, stubby and firm hairs. Except where specifically noted, all text, photographs, and drawings copyright Chris Bersbach and Lisa Leombruni 2002. No part of this page may be reproduced without the express permission of the authors.